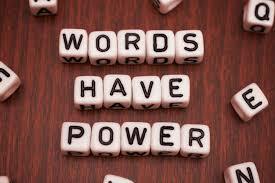 There is no telling how potent, great and powerful our words are when correctly engaged. Words have the power to create or to destroy, the difference is in how words are engaged. Words have started more wars and also resolved lots of conflicts. Words created the world we live in,your words have created the world you are in.. Words can create an atmosphere of peace, or that of turmoil.. Words are powerful, hence the need to be intentional and purposeful with every usage. When we release the seeds of Words we have set in motion the cycle of inevitable harvest of results. Constantly choose the right words to create a world of possibility for you and others coming into your sphere today.